Mechanical Brushless -Action Dosers of mixed products with whole pieces, liquid and pasty in glass, metallic, or plastic containers. 28-5.000 Gr. 2.000 CPH up to 2.300 Gr. 28-2.300 ml. 32 mm. Dosing system is characterized by a highly reliable technology, developed and deriving from a lengthy experience. Volume is preset by brushless electric technology for optimum dosing accuracy. Dispensers are easy to change and are available in different shapes according to the type of product being processed. 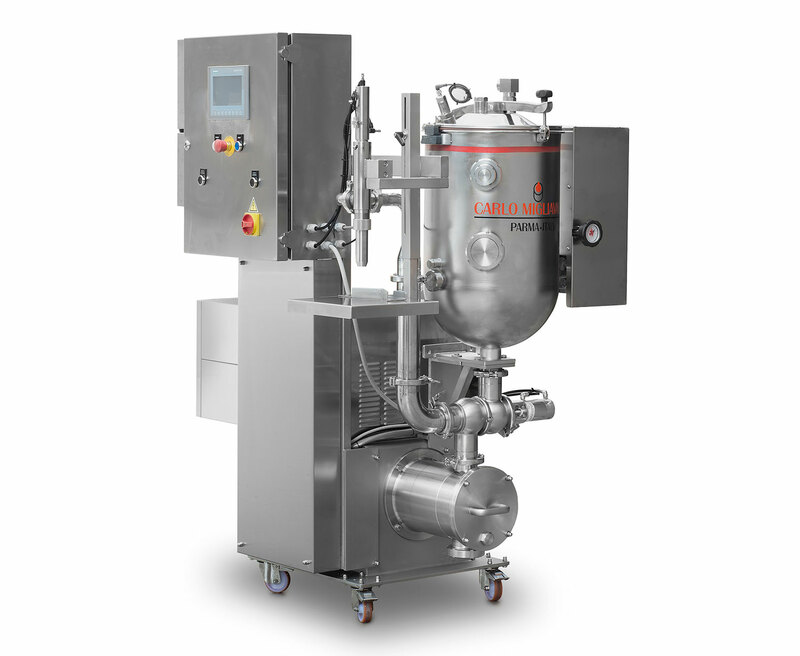 Dosing station is designed to minimize the mechanical handling of the food product in order to keep its organoleptic characteristics unchanged. Wide product passage. The machine is designed to process different products types: mixed even with large-size and delicate products, pasty and liquid, high viscosity pasty products. Round and shaped glass jars, bottles. Metallic or aluminium tinplated cans. The machine complies with the conditions of the EEC Machine Directive. Made of stainless steel, simple and easy disassembly of the filling head, easy setting of the washing cycle permits perfect hygienic conditions. Fine volume is adjustable by means of direct input of the value. Hourly output and dosing speed are adjustable by electronic brushless motor. TOUCH SCREEN HMI to load and save size recipes. Format change is therefore very fast and does not necessitate substitution of spare parts.